The rifles will progressively replace the Army’s in-service INSAS and AK-47 rifles. The 200-series of AK rifles represent the next generation and evolution of the 100-series of AKs. 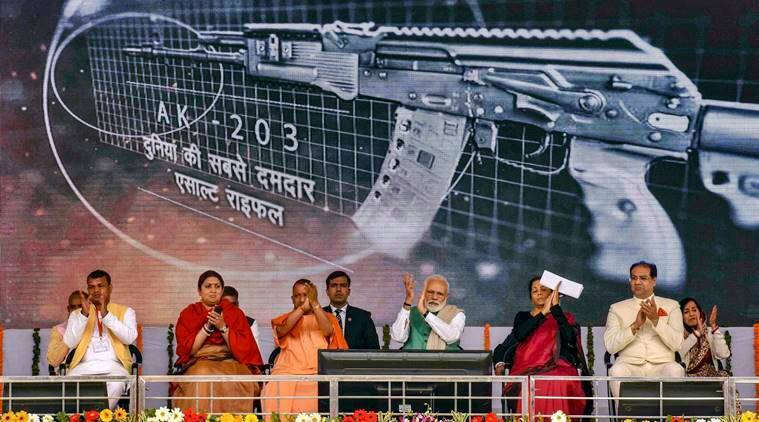 The AK-203/103 rifle, which will soon be manufactured in Korwa area of Amethi after Prime Minister Narendra Modi laid the foundation stone of its manufacturing unit, is the latest derivative of the legendary AK-47 rifle. The project, in collaboration with Russia, will be undertaken at the Korwa ordnance factory, which was established in 2010. Around 7.5 lakh units of the latest version of AK-47 will be manufactured in the new unit. The rifles will progressively replace the Army’s in-service INSAS and AK-47 rifles. The 200-series of AK rifles represents the next generation and evolution of the 100-series of AKs. The 200-series Kalashnikov rifles have same basic design, layout and major features (including famous reliability and durability), but feature improved ergonomics and modern accessory interfaces. The AK103 has plastic folding buttstock that ensures convenience on the march, during transportation and landing operations. The weapon can fire with buttstock folded. 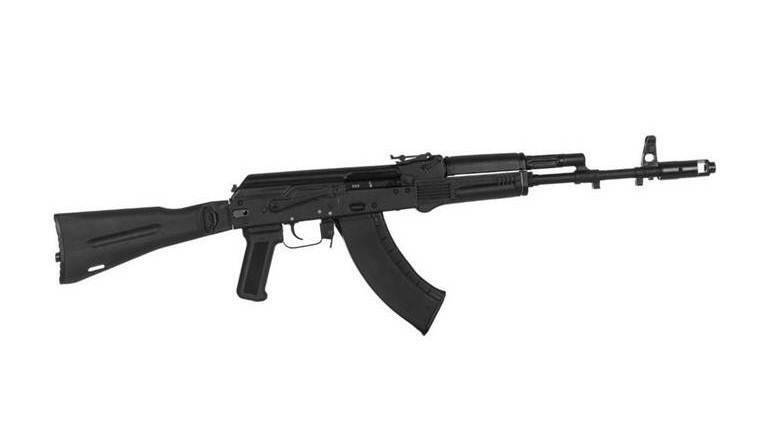 The AK103 can carry a 40-mm under-barrel grenade launcher or a knife-bayonet, according to the Kalashnikov website. Favoured by the military around the world and operational in all conditions, the AK-47 rifles is much in demand because of their reliability and operational ease, with Army personnel of over 100 countries reportedly equipped with it. The new joint venture between India and Russia comes after last year’s signing of the $5.43 billion deal for S-400 Triumf air defence missile systems. After the rifles are supplied to the defence forces, the government, in the next phase, would provide them to paramilitary and the state police forces, ANI reported. Last week, the Defence Ministry signed a contract with American firm Sig Sauer for the supply of 73,000 assault rifles, which will be used by troops deployed along the nearly 3,600-km border with China. 1 What is MiG21 Bison, the fighter jet Wing Commander Abhinandan Varthaman was flying? 2 What is Mirage 2000 jet?